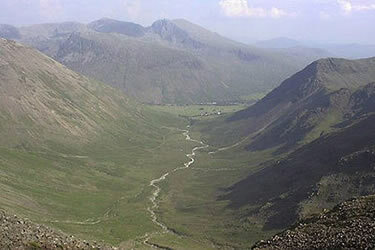 This is a challenging Lake District walk that takes a difficult route to the summit of Scafell from beautiful Wasdale. Ascent via Lords Rake and the West Wall Traverse with a descent via Foxes Tarn and Mickledore. Due to rockfalls the route has been subject to closure. It must be said that this route is for experienced mountain walkers only.